Hamburg is a free city of the Holy Roman Empire. In the 1444 start it is in a trade league under Lübeck. As the ideas of the Enlightenment are sweeping through Europe, we may choose to embrace them ourselves in Westphalia. Our future model state will feature ideas as revolutionary as equal rights for all male population, freedom for serfs and emancipation for the Jews, as well as enabling of free enterprise through abolition of socage and the guilds. is not the Holy Roman Empire, Hanover, the Papal State, Germany, Prussia or Switzerland. is not the celestial empire. has Westphalian or Rhenish as primary culture or its capital in Westphalia (area). has not passed this decision before. has its capital in Westphalia (area). is either an elector or not a member of the HRE. 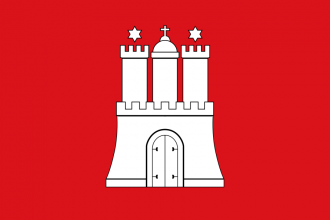 Magdeburg (52), Westfalen (82), Hanover (1758), Kassel (1762), Paderborn (2972). Kassel (1762) is removed from the HRE. gets the modifier “Removed provinces from the Empire” towards the country, worth −50 opinion with a yearly decay of 1.
changes government to a administrative monarchy. sets capital to Kassel (1762). gets permanent claims on all provinces of Westphalia (area) and Lower Saxony that it does not own. gets permanent claims on the provinces Magdeburg (52), Hessen (81), Kassel (1762) and Altmark (2964) that are not owned by Westphalia. This infobox may contain outdated information that is inaccurate for the current version of the game. The last version it was verified as up to date for was 1.22. Regardless of the absence of a strong, central authority, our nation is prospering. The Hanseatic League, formed by hundreds of towns in northern Germany, has contributed to the prosperity of our nation. Intellectual growth, combined with sea and overland trading, has also helped spur the development and transform our country into a wealthy manufacturing center. is not the Papal State, the Holy Roman Empire or the Roman Empire. Westphalian, Pomeranian, Rhenish, Saxon, Bavarian, Prussian, Swabian or Franconian. must have at least 15 cities and an administrative technology of at least 20.
can not be a theocracy. has an administrative technology of at least 20.
is not the emperor of the HRE. Hamburg (44), Rostock (46), Berlin (50), Brunswick (57), Dresden (61), Thüringen (63), München (65), Nürnberg (67), Hessen (81), Köln (85), Pfalz (1761), Augsburg (1868) and Frankfurt (1876). Königsberg (41) or Elsass (75). leaves the Holy Roman Empire. gets permanent claims on all provinces of North Germany and South Germany that are not owned by Germany. −150 opinion with a yearly decay of 1.
gets the event ‘Germany breaks out of the Empire’. Hamburg has many advantages that allow the potential for it to become a major power; including its trading bonuses as a Hanseatic Trade port, naval ideas, its position near the edge of the Holy Roman Empire and its access to the New World. It is one of the 8 starting free cities in the Holy Roman Empire. This means the Emperor will normally defend it from attack by other empire members, as well as those from outside. Free cities also have a development bonus that allows it to grow rapidly. The City of Cities achievement is quite doable with a Free City. Free City status is lost if the nation grows to more than one province. In the early game, it is usually best to maintain these benefits and grow the city significantly before expanding. If this is done after the Renaissance triggers, growth can also be used to greatly accelerate adaptation long before it makes its way there from Italy. As a Free City with both an estuary and an entrepot, Hamburg starts with considerable trade power. Unfortunately, as a member of Lubeck's trade league it shares half of this. Once good allies are established, considerably more trade income can be generated by leaving the league. Free City status can be maintained if the player vassalizes a neighbor in a war and then grows the vassal by making claims, transferring them to the vassal, and pressing claims in wars. Just be sure to only use one vassal, as it will be difficult for Hamburg's single province to maintain the loyalty of two expanding vassals. Care must always be taken to not expand within the empire too quickly, especially by annexing nations (eliminating a prince usually draws the Emperor's ire and brings penalties). Expanding up into Denmark is a good play, supporting Sweden's independence to weaken it and gain an ally. Note that this alliance is not likely to last once Sjælland is taken by Hamburg (or its vassal), as Sweden will covet it and is likely to become a rival. By this time Hamburg will likely have to expand itself and lose Free City status, and can diplomatically annex its vassal. Hamburg can use it's naval and trade strengths and ocean access to become a Colonial power using the exploration ideas. It first needs trade node access to the New World. The easiest is through the North Sea trade node and its access to Canada. Taking Norway's Bergenshus should be a priority if this is the desired strategy. The first New World provinces to come within colonizing range are in the Amazon Delta. There is typically enough time to set up colonial nations from there to the Caribbean, Eastern America and finally Canada before anyone cuts you off. The player can then try for a trade port or two in the Ivory Coast node and on to Asia. In this way, Hamburg is a good pick to get the Market Control achievement. An extensive trade network is also necessary to get the Bunte Kuh achievement. As Hamburg, trade in both Gems and Livestock. This page was last edited on 23 January 2019, at 18:02.